Rather than a regular sponged on gradient this year, I've gone with a stamped gradient. I recently chose a couple of the Dance Legend stamping polishes to try out and this seemed like the perfect time to use them. 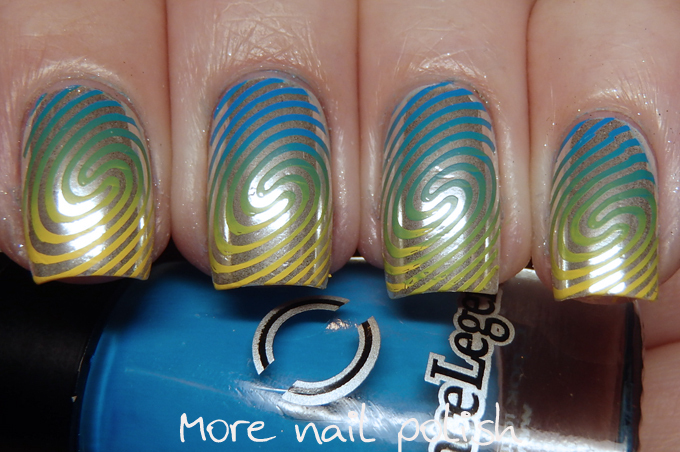 I chose the blue and the yellow polishes to try and they blended really nicely together to form green in the middle. 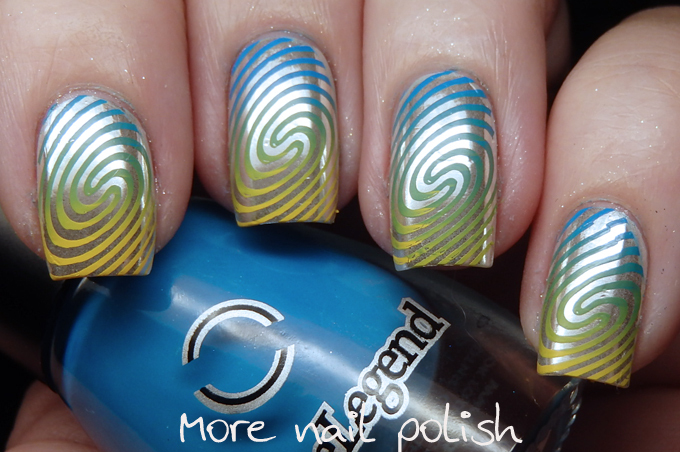 The base that I stamped over is Dance Legend White peel off base, chrome power rubbed in and an aqua top coat. 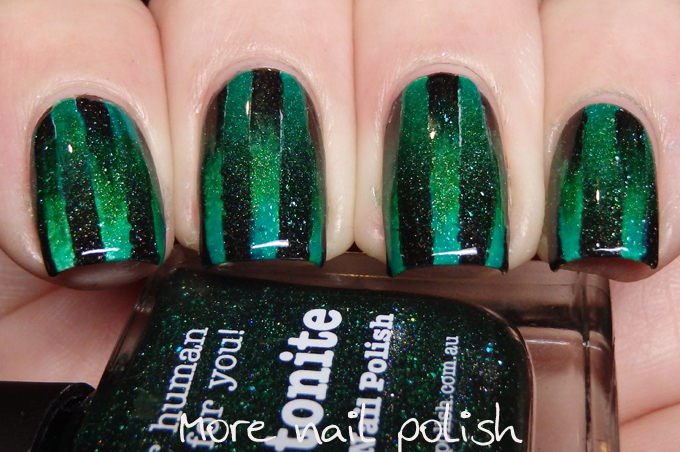 After I stamped I applied Seche Vite to seal it all in. I'm really impressed with the stamping polishes and think I might get some more. They are strongly pigmented and stamp very clearly without leaving little air bubbles that I often get with the Mundo de Unas. I just wish they came is slightly larger bottles, especially for the black and white, cause I tend to really go through black and white stamping polishes. Here are all the Dance Legend links for your shopping and social engagement. My Gradient nails from 2013. 2014 and 2015! Wow. This manicure is fantastic!